This book knocked my socks off! 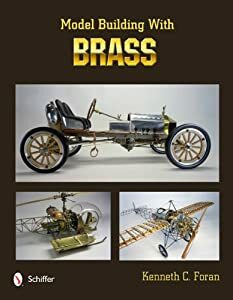 I’ve always been afraid of real model building with metal… I can drill a hole, turn a diameter on my lathe… but to craft an engine, or entire model from brass? No way! Ken Foran shows how it’s done… or more importantly, that it CAN be done. The book is finely printed with gorgeous color photos. Even if you never plan to lift a jeweler’s saw in earnest, you should have this book for inspiration! And yes it’s completely applicable to ship modeling… I’ve seen some great models with exposed engines, working cranes, fire monitors… all subjects that benefit from brass construction.